It’s Easter today. Which means nothing to me given that I’ve followed a strict diet of atheism for much of my adolescent and adult life. 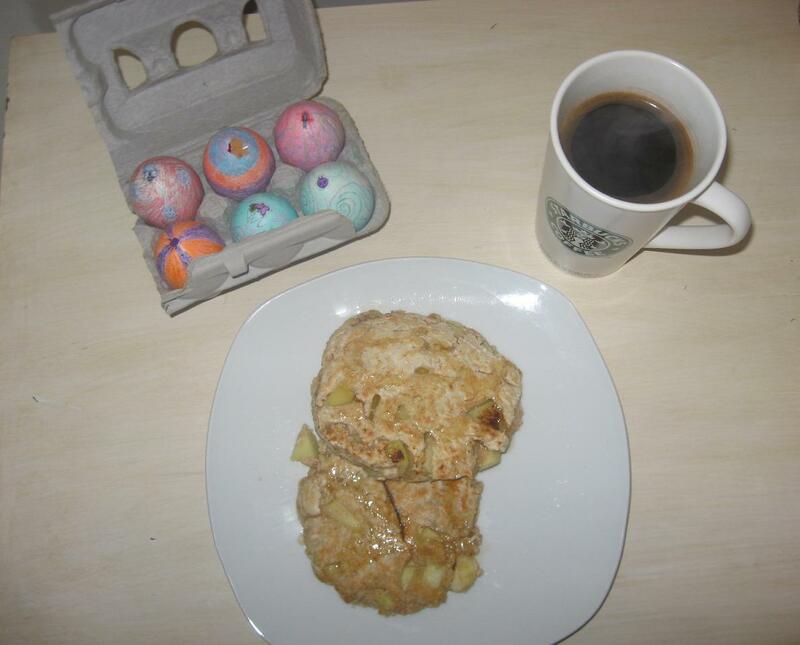 But Fialonia celebrates Easter so I made apple pancakes this morning to celebrate. They were more like fried apple muffins in the end, but we both still enjoyed them with heaps of maple syrup and (in my case) a big mug of hot coffee. In a medium sized bowl, mix together the dry ingredients. Add the apples and soymilk and stir together until ‘just mixed’. Pop some oil in a frying pan and put on medium heat. Fry up your apple cakes. Makes 4 small(ish) or 2 giganto pancakes. Serve with maple syrup and black coffee. Yummy! And last night I made the new stew I was yammering about in a previous post. I liked it but Fialonia found it a bit too spicy. It does have a bit of kick but if you like medium spicy food, it’s a great stew. 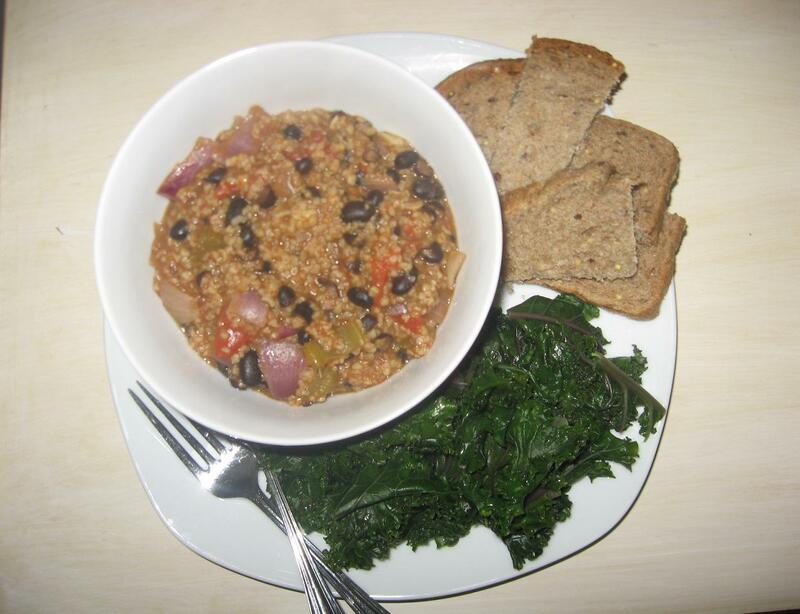 Bulgur, in my humble opinion, is an under-used grain. I like it better than couscous and it cooks almost as quickly. Bulgurific!